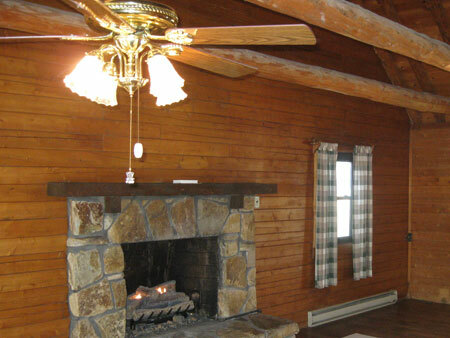 Wow, this is a really nice log home with a covered front porch, deck, family room extension & 2 car garage w/barn. Home consisting of 6 rooms, 3 bedrooms, 1? baths, & 2 car concrete floor garage. The kitchen has top & bottom oak cabinetry, built in dishwasher, refrigerator & stove. The large living room has exposed stone mantle, open ceiling, tongue & grooved wood planks w/pealed long braces open to the left & 2 bedrooms on the 2nd level. The family room addition offers access to the attached garage. Please come and see for yourself what a beautiful place is waiting for you. 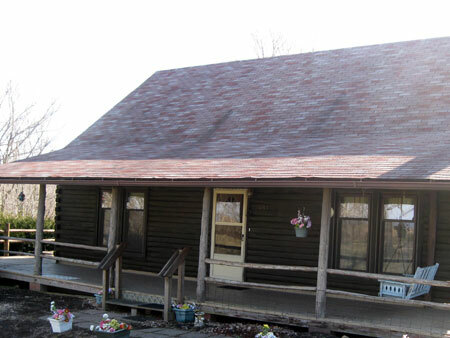 The home is equipped w/central A/C, gas heat plus electric baseboard, county water & septic, and 200 amp breaker box. Real Estate Terms: Minimum Bid $50,000. $7,500 down at time of sale. Balance & possession upon delivery of deed. Offered free & clear of liens or mortgages prior to closing on/or before June 14, 2011. Taxes are $1,303.02/yr. Property identified as Parcel #370912069000. No buyer contingencies exist, sold in present As-Is condition. No expressed or implied warranties given. Taxes & Legal: As agents for the sellers, Alan & Jaimeme Hamilton, Frank Lawwell & Janet Lawwell, Atty in Fact for Millie Hamilton, they have ordered the following real estate to be sold on the premises.